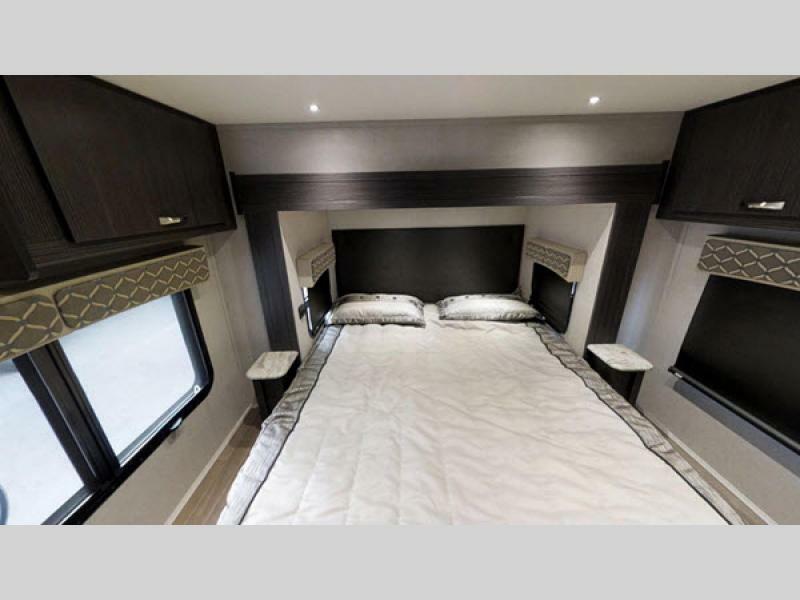 The powerful and attractive Isata 3 diesel motorhome promises you a lovely experience wherever you are, and offers the dependability and fuel efficiency of a diesel motorhome. 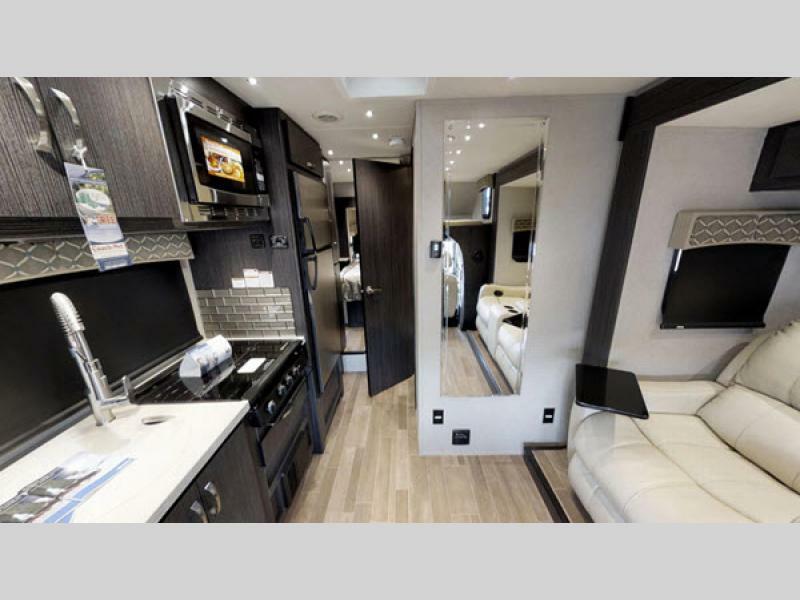 Built on the Mercedes-Benz Sprinter chassis, you’ll love how this motorhome is easy to maneuver, sleekly designed, and incredibly luxurious. Learn more in our Dynamax Isata 3 diesel motorhome review. At the end of the day it’s nice to know that wherever the road takes you, you’ll have a delightful space to call your own. Whether you’re bedding down after being on the road or resting after a day of fun, this bedroom was designed to make your feel relaxed and at home. You’ll love the gorgeous decor and the plush mattress. A high quality bathroom that’s spacious and welcoming? 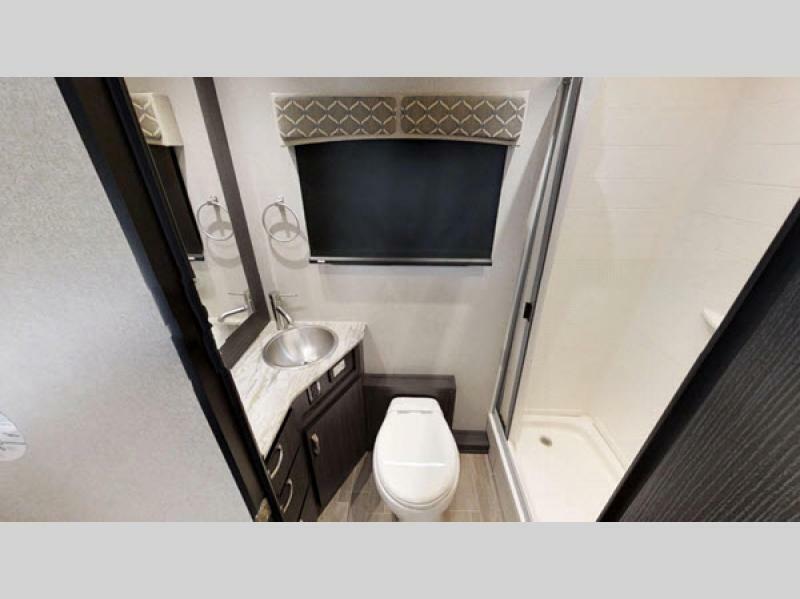 You might think it hard to find in a class C motorhome, but Isata 3 takes bathrooms to the next level. It offers a high-end shower head to provide a spa like experience, residential sink, and even a skylight to bring a little of the outside in. Don’t let Isata’s sleek styling fool you. Every Isata floorplan comes with a gorgeous kitchen that is well equipped to offer you an experience that makes you feel right at home. From ample storage to great appliances, this RV is truly a delightful place to call your home away from home. If you’re interested in learning more about our selection of Isata 3 motorhomes for sale, contact us. As your Minnesota RV dealer we are here to assist you throughout your search. Our experienced team would be delighted to ensure you find the best RV for your needs. We can also help with RV financing.